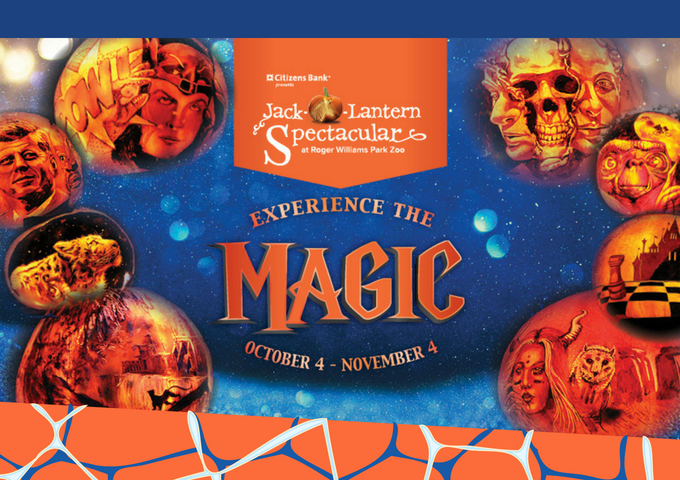 Roger Williams Park Zoo hosts their 30th annual Jack-O-Lantern Spectacular from October 4th to November 4th. The display includes over 5,000 carved pumpkins with scenes of fairytales, superheroes, historical figures, and more. The event has been described as extraordinary by CNN and USA Today and runs daily, rain or shine at the Zoo! Prime night tickets (Friday, Saturday, Sunday) are available online only while Value Nights (Monday through Thursday) are available online and at Zoo admissions. Tuesdays are AAA Member Discount nights with tickets available only at Zoo admissions. Group prices and private events are also an exciting option from the Zoo! For ticketing information visit their website here.